After many prototypes and tests, I’m happy to announce the new Survival Kit products for Pale Spruce. Three new non-expiring survival kits are now available. All three kits are pocket-sized and small enough to drop into any backpack without taking up precious space. Weighing between one and three ounces, they try to cover as many of the Ten Essentials as possible, but they cannot cover all of them. It’s a classic tradeoff between size and function. They compensate for their lack of size by being “non-expiring”. This means no batteries, medicine, or water purification to go bad before you ever use them. 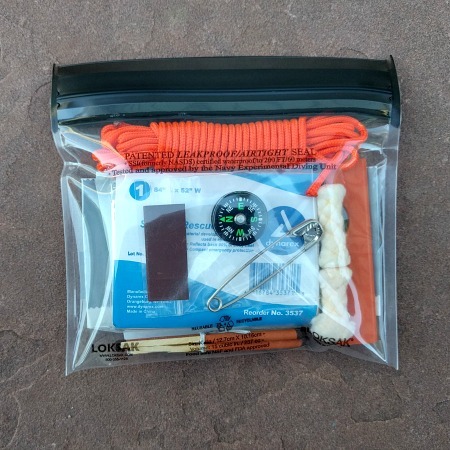 The kits can be stowed in the bottom of a pack to keep you prepared for a worst case scenario. Completely waterproof and the largest of the kits at 3 ounces and 4″ x 5″ in size (hence the amazingly clever 345 name ). The ALOKSAK bag contains items to provide shelter, fire, navigation, gear repair, and basic first aid. Oh, and it includes the all-important duct tape. 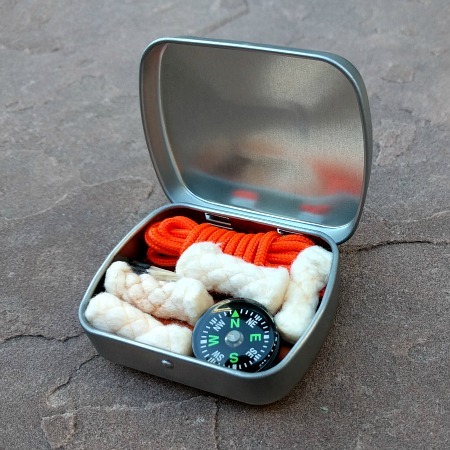 The one ounce mini packed with eight matches, four fire starters, compass, paracord, and razor blade. The name? Well, my Cocker Spaniel puppy was terrorized by min-pins (mini pinscher) during her puppy classes. I am not a big fan of min-pins, but I do like the MinTin. 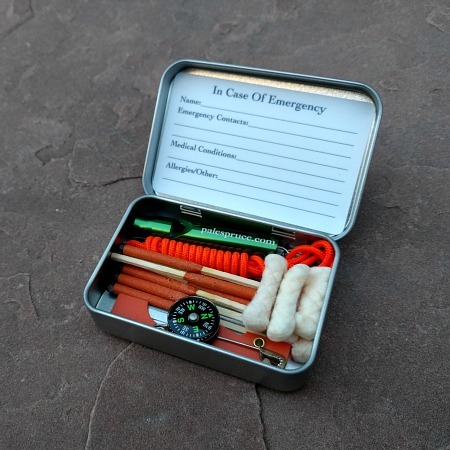 Using a Altoids style tin, this kit covers five of the ten essentials (navigation, fire, first aid, gear repair, and signaling). Also includes an 18″ strip of duct tape and 3 feet of 275 paracord. It is based on kits my kids (T & L) designed during our prototype phase. So, yeah, it’s the TL5. Sounds like a spy plane, but it’s more in the realm of WD-40 naming. Three new kits to keep you prepared. Happy hiking, biking, and camping!